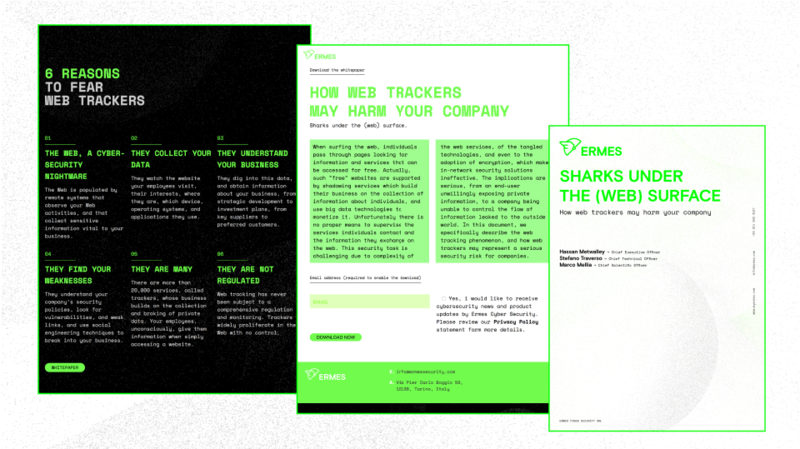 Ermes Cyber Security is an innovative startup in the field of cybersecurity. 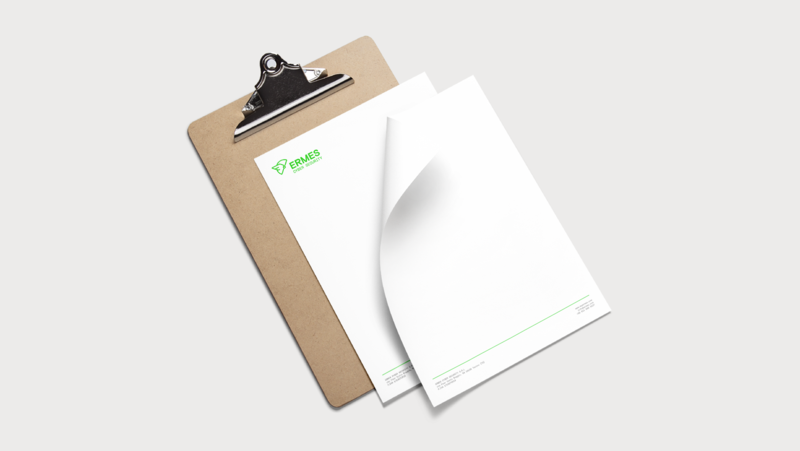 Their service is addressed to medium-sized and big companies. Quattrolinee restyled the corporate identity restyling and has developed communication media which were used to launch the company in the economic market. Quattrolinee was also in charge of making the launch video for the equity crowdfunding campaign on Mamacrowd. The whole brand communication was built in order to make their target aware of cybersecurity issues. The visual concept behind the website and the video plays around the duality between the risks related to online web trackers and what the company offer as a service. Colours, types and video storyboard recall the image of cyberspace and its latest evolution in tv and cinema. The website was designed to let people gradually know about cybersecurity. The first website content is an offbeat video made of images and words designed to cause a feeling of uneasiness. Following informational content are displayed focusing on the risks and the services offered by the company. A lead generation strategy is part of the website: users who are interested in learning more about the issues can download a white paper for free just by leaving a personal contact.